In some way the easiest to find - stack trace helps. Resolution is completely application-specific. Press F12 to open developer tools. From here you can examine requests and resend them. Firefox can also edit requests before repeating them. 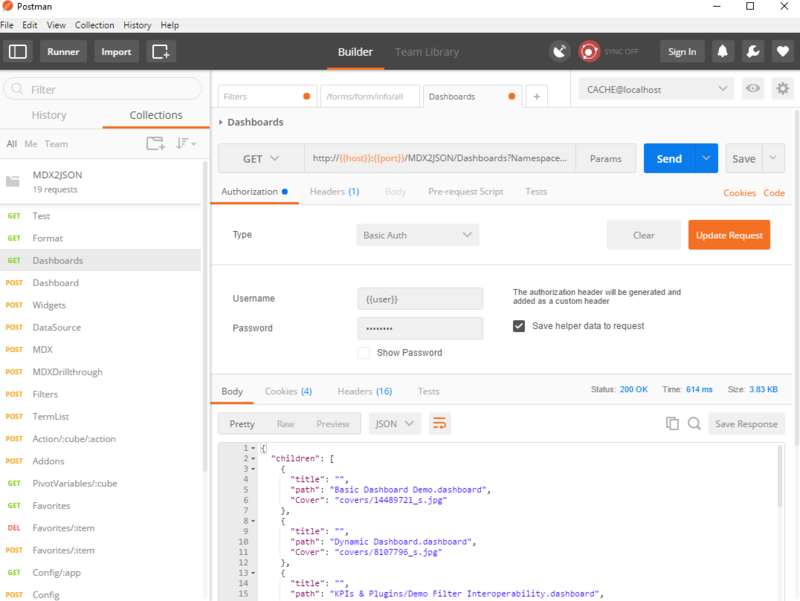 Postman works with requests grouped into collections. Request can be sent into the environment. Environment is a collection of variables. For example in my CACHE@localhost environment host variable is set to localhost and user to _SYSTEM. 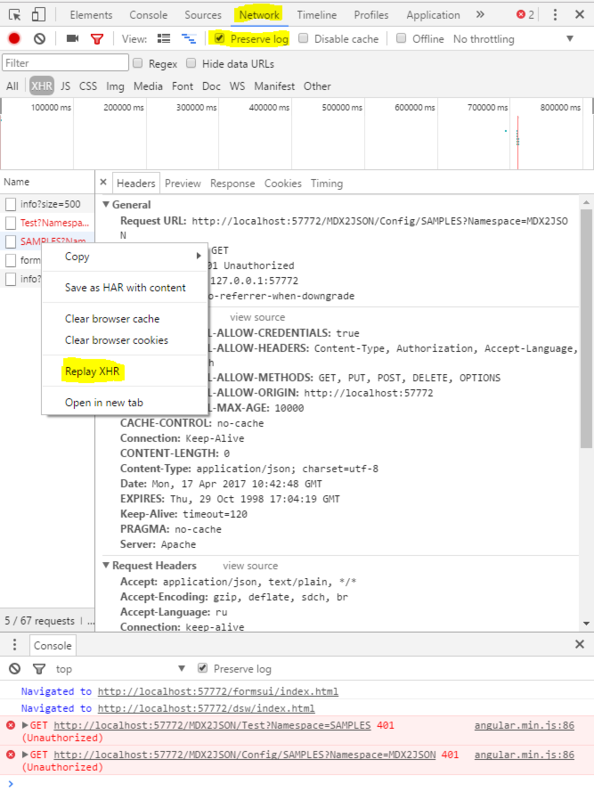 When request is sent variables are replaced with their values for chosen environment and the request is sent. 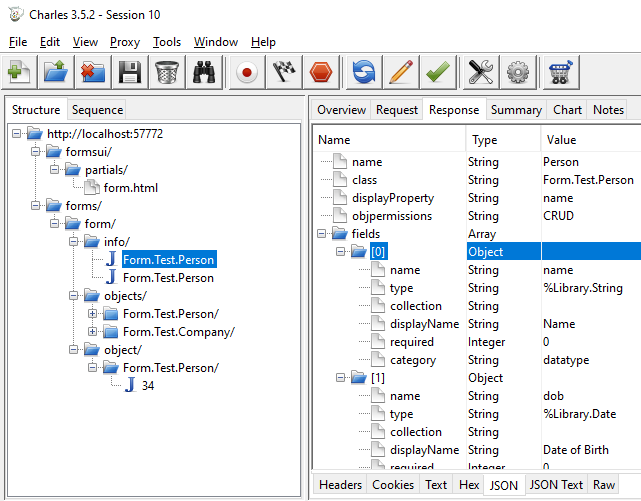 Here's a sample collection and environment for MDX2JSON project. A standalone application that logs HTTP(S) traffic. Logged requests can be modified and resend. I use Charles and Fiddler. Well, that depends on a purpose. First of all we can aim to either log (debug proxy, packet analyzer) or generate (browser, REST client) requests. If you're developing a REST Web API, then REST client is the fastest way to test that it works. If, however, requests from REST client work, but client web application does not, browser, http debug proxy and packet analyzer may be required. If you have clients and you need to develop server-side api to work with them, you'll need http debug proxy or packet analyzer. It's better to be familiar with all 4 types of tools and quickly switch between them if the current one is insufficient for the job. Sometimes the right tool is obvious. There's only one solution here - packet analyzer. Or if I'm developing a REST API for JS consumption, REST client is a perfect tool for testing. When debugging web application start with web browser. In Part 2 we'll discuss what can be done (a lot) for web debugging on the Caché side. What are your approaches to debugging client-server communication?